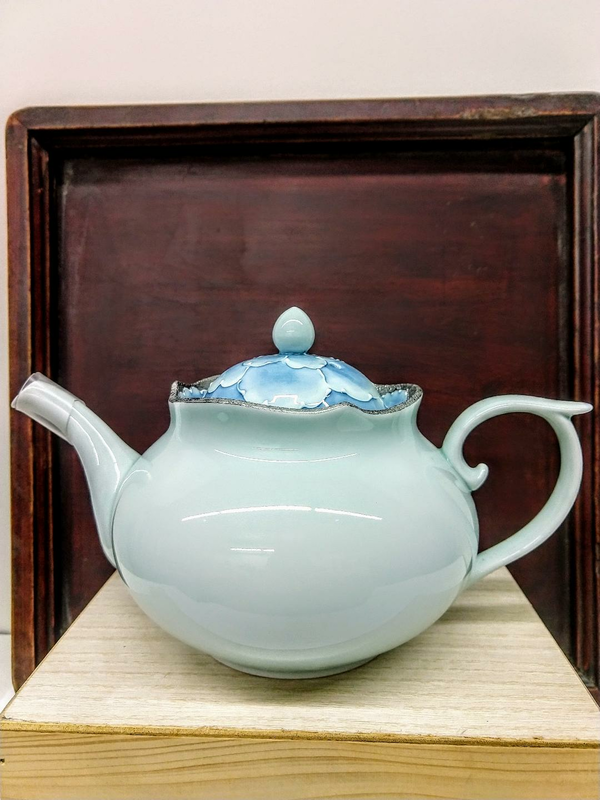 An exquisite finely crafted celadon teapot with blue and white peony motif on lid and elegant platinum trim. Built-in spout strainer. 9" tip of spout to handle. 5" height.